Dave Valentin - Форум "Клуба коллекционеров"
Dave Valentin, who has recorded over 15 albums for GRP, combines together the influence of pop, R&B, and Brazilian music with Latin jazz to create a slick and accessible form of crossover jazz. At age nine, Valentin enjoyed playing bongos and congas. He gigged at Latin clubs in New York from age 12 and it was not until he was 18 that he seriously started studying flute. 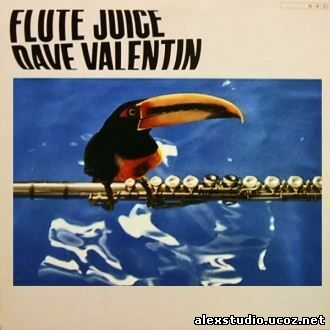 Valentin's teacher, Hubert Laws, suggested that he not double on saxophone because of his attractive sound on the flute. In 1977, he made his recording debut with Ricardo Marrero's group and he was also on a Noel Pointer album. Discovered by Dave Grusin and Larry Rosen, Valentin was the first artist signed to GRP and he has been a popular attraction ever since. Since the mid-2000's, Valentin has been signed to Highnote Records releasing World On A String in 2005 and Come Fly With Me in 2006. Dave Valentin has won the 45th Annual Grammy Award (2003) for Best Latin Jazz Album. Acknowledged as one of the top jazz flutists in the world, Dave is at home in a wide variety of musical genres. His prize winning Latin style album 'The Gathering' reflects his family's Puerto Rico roots blending artistically with his New York jazz background. The album is performed by the 'Caribbean Jazz Project', a collaboration between Dave Valentin and Yamaha vibes artist Dave Samuels. Спасибо, Александр! Диск суперский! Понравилось! sorry to bother but I can't find the link !